Second year Optometry students receive awards to travel to Africa in 2019 with international charity, Vision Aid Overseas. 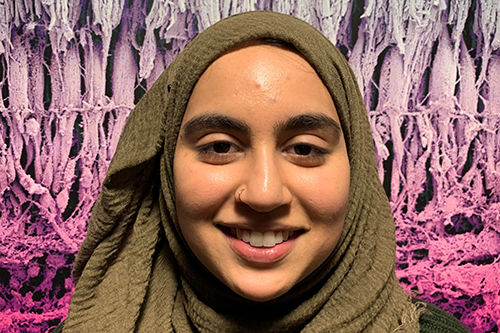 We are delighted to share that second year Optometry students Sadaf Khan and Iram Ahmed have both been awarded Irvine Aitchison Memorial Fund (IAMF) bursaries to work on assignment with the international charity, Vision Aid Overseas (VAO), in Africa next year. The Irvine Aitchison Memorial Fund is a charity that was established in 1966 in memory of Irvine Aitchison. In view of Irvine’s special interest in education, the IAMF has focused on providing opportunities for students of optometry and dispensing optics to broaden their horizons and gain new insights into their professions. The awards are incredibly competitive, as usually only two awards are made nationally each year. 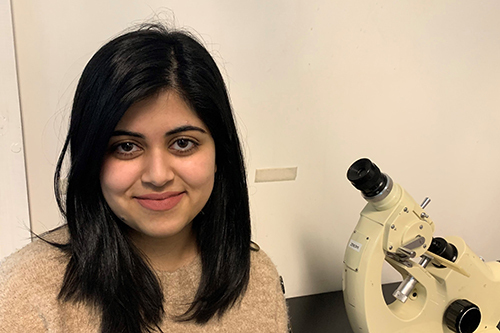 Sadaf and Iram are the latest City Optometry students to be awarded the bursary in recent years, bringing the University's total number of recipients to 11, since 2010. I'm grateful to have been given this opportunity and am really looking forward to travelling to Africa for the first time. I hope to learn lots about the differences in eye care between here and there. I think that I will gain plenty of general life knowledge as well as valuable experience related to optometry.